By July 5, most large communities have reported property damage—fires, mostly—and bodily damage—burns, missing fingers, blindness. 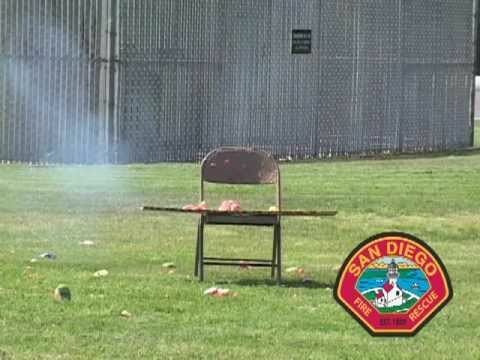 As a reminder to everybody to be careful around fireworks—my preference is to avoid them altogether—the San Diego Fire Department put together this great public service video demonstrating the danger of explosives fireworks. And if you haven’t already, think about taking a first aid class so you are always prepared.